The All NEW C-HR from €26,895 or €269 per month Stand out amongst the crowd !! Power will come from a 1.2 litre turbo petrol engine, while there is also a hybrid option. The 1.2-litre turbo petrol produces 116hp with CO2 emissions from 139g/km. A 6-speed manual gearbox comes as standard, with the option of a CVT automatic gearbox. All-wheel drive versions will come with the CVT. Fitted with the latest-generation hybrid power plant of a 1.8-litre petrol engine and an electric motor, the C-HR produces 122hp with CO2 emissions as low as 88g/km and with a fuel consumption of 3.7 l/100km (76mpg). Completing the list of luxurious standard equipment is a high-quality JBL premium audio system, black leather seats, Smart Entry system and Blind Spot Monitoring technology. Safety is at the forefront of the stylish Toyota C-HR, too. 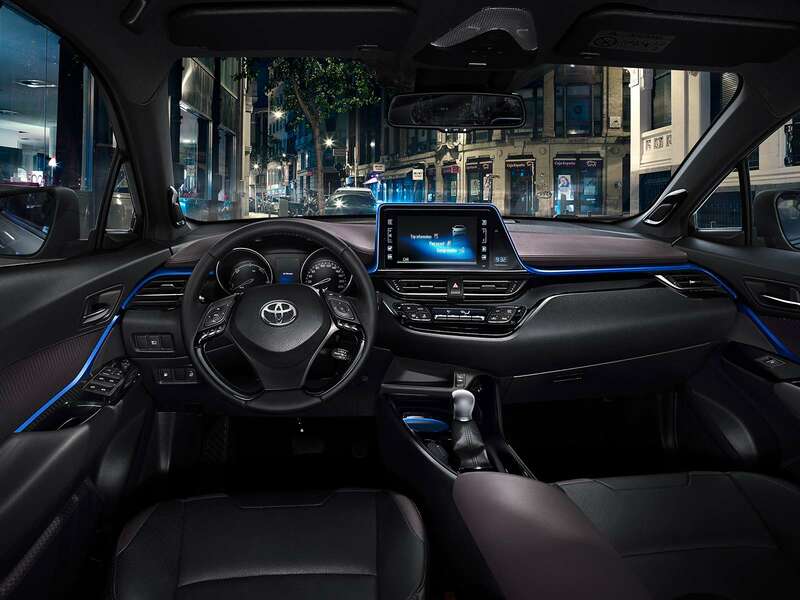 Equipped with advanced Toyota Safety Sense technologies as standard, it incorporates a range of active and preventative systems to keep you and your passengers safe including: Pre-Collision System (with Pedestrian Detection), Adaptive Cruise Control, Lane Departure Alert with steering control, Automatic High Beam and Road Sign Assist. Reassuring technology that helps to keep you out of harm’s way. Want to own one of the most stylish cars around? 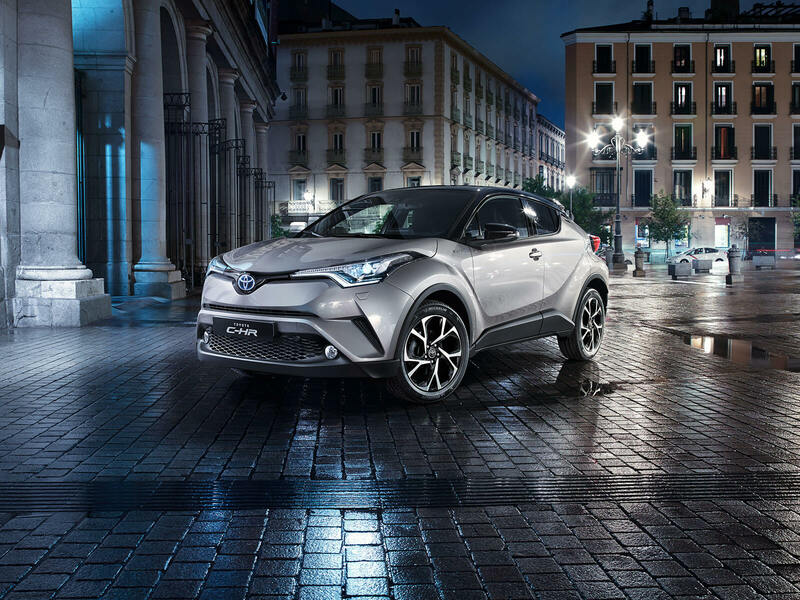 Stand out amongst the crowd with Toyota’s new stunning SUV the C-HR. This funky, sleek, stylish new SUV needs a test drive before you choose your next new car. If you don’t test drive it, you’ll be surely sorry. The new Toyota C-HR is contoured, contemporary, measured and meticulous, with diamond-faceted influences throughout, Toyota C-HR is truly a cut above – make sure you shine this New Year. Sleek, sultry, tasteful – every inch of the Toyota C-HR is alive and deliberate. It seems to move even at a standstill. The cabin silhouettes extend seamlessly into the cockpit, putting you in control. There’s just one focus inside the Toyota C-HR: YOU. 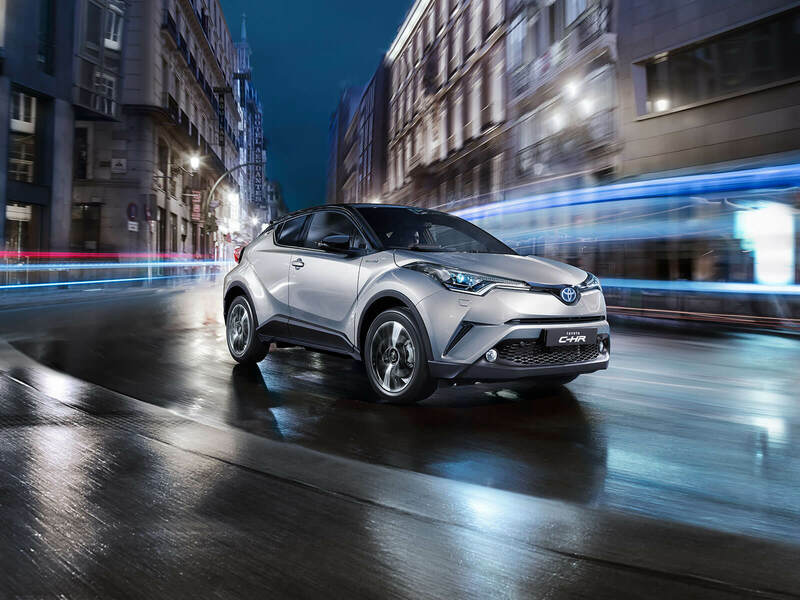 The Toyota C-HR available at Brian Geary Toyota, Raheen has the agility of a dynamic hatchback with the confidence of a high-riding SUV – feel the poise and precision by booking your test drive today. The new Toyota C-HR is available in 1.8 Litre Hybrid or 1.2 Litre Turbo petrol, 6 speed manual or automatic – you choose your preferred drive. Starting at €27,645 or €269 per month with 3 grades Luna, Luna Sport or Sol – so you can find the match that fits your life. Toyota does not compromise your safety with a host of Toyota Safety Sense technologies including with Pre-Collision System with Pedestrian Detection, Lane Departure Alert, Automatic High Beam, Road Side Assist and Adaptive Cruise Control. 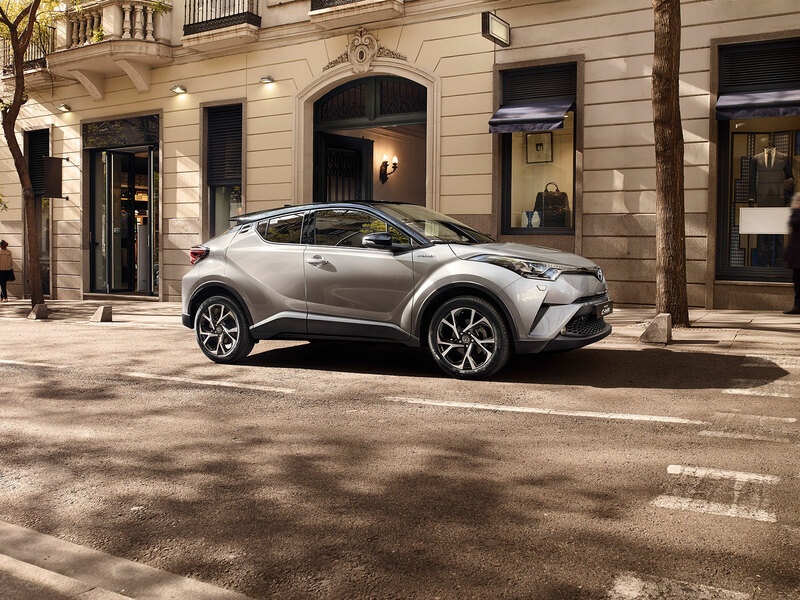 To test drive the all impressive Toyota C-HR by booking a test at our Showroom in Raheen. Experience the Toyota C-HR up close.